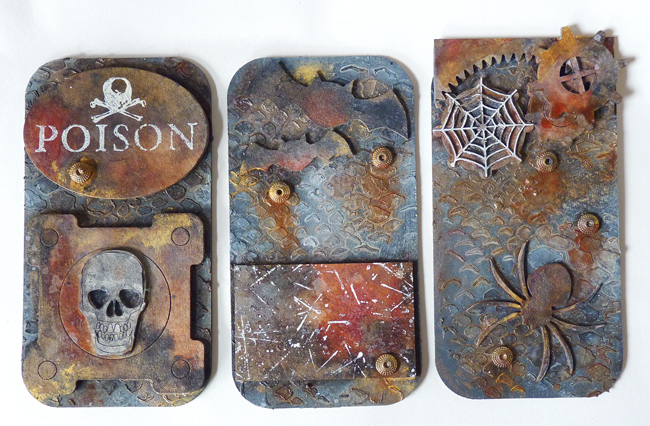 I am up on the DecoArt Media Blog today with a Halloween Triptych made from Tando media boards and embellishments. 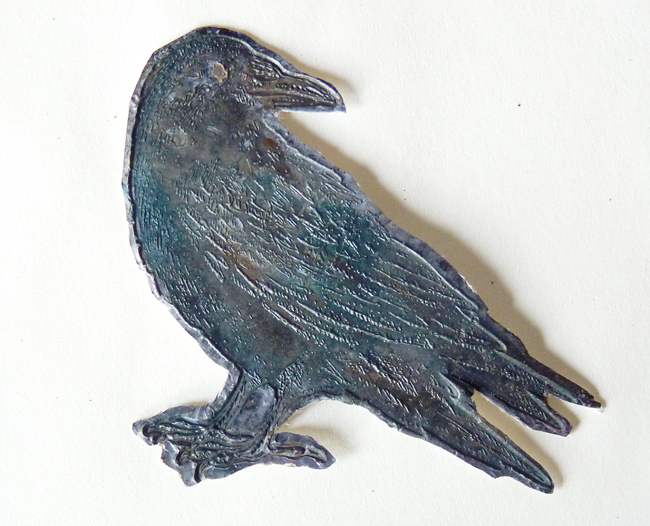 The raven is from a stamp but I have made him very textural and I've used Andy Skinner stamps too. If you'd like to see all the details then please pop over to take a look. There's all the process steps and photos to go with them that you can look through and have fun with if you fancy making something similar. 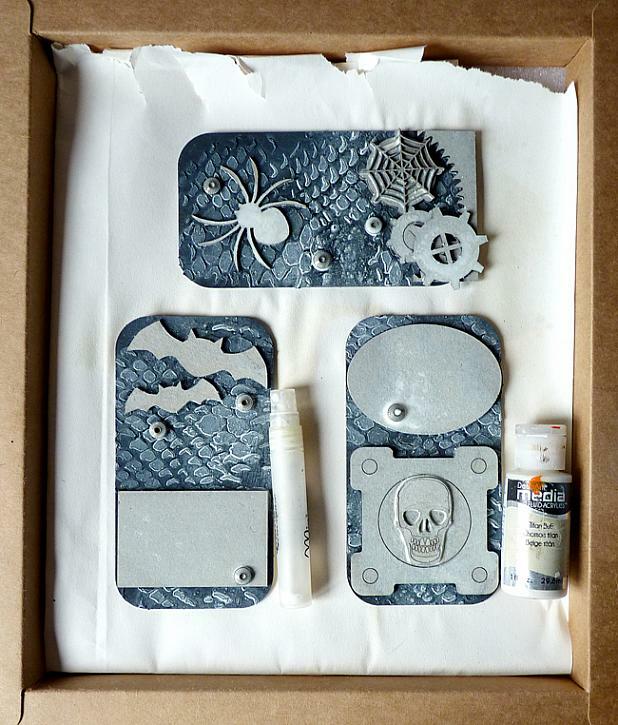 Have a great Halloween month making your own decorations and spooky projects. 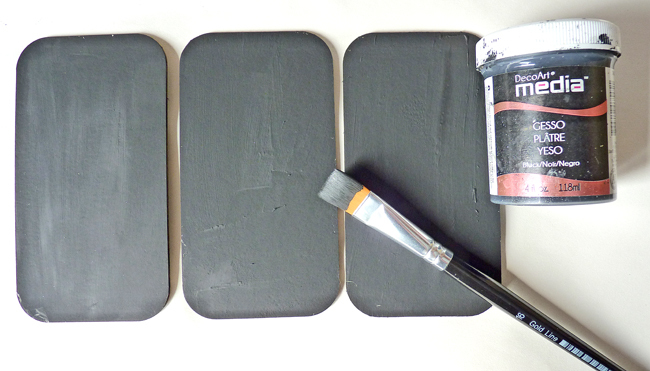 Instructions :Take three media boards and paint them with black gesso. 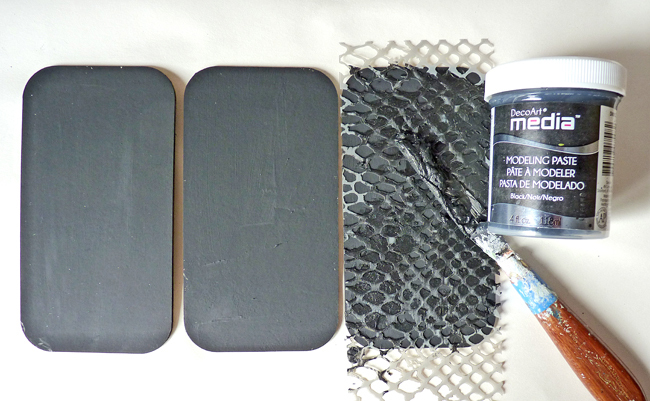 Using Andy Skinner's stencil apply black modeling paste - it doesn't have to be an all over coverage. some metal spacer beads to add more interest. 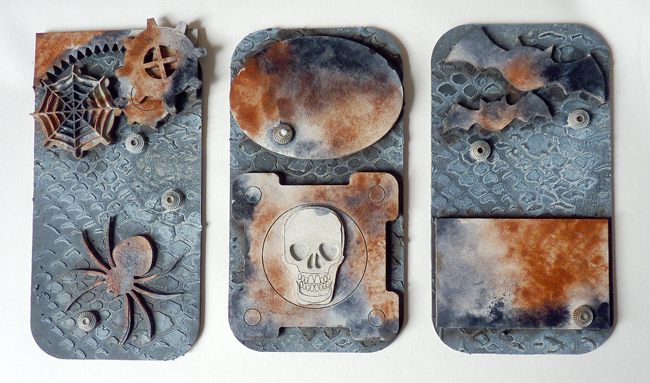 Make up a spray of fairly watery Titan Buff and spray over the chipboards and the background. 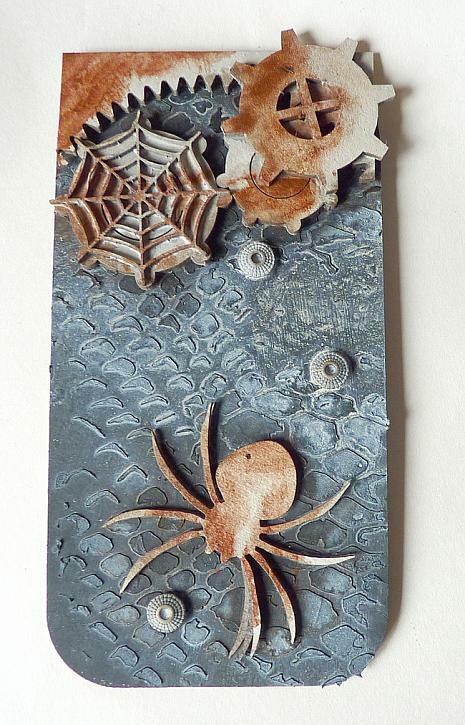 Spritz water around the chipboard pieces and dab on raw umber, let it drip around and then heat dry. 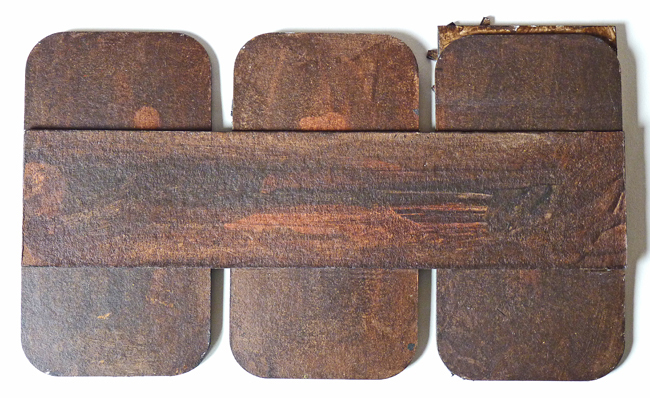 Spritz the chipboards with water and randomly dab on some Burnt Sienna and dry. the color is beginning to build up n all three boards. colours if they're needed and dry. 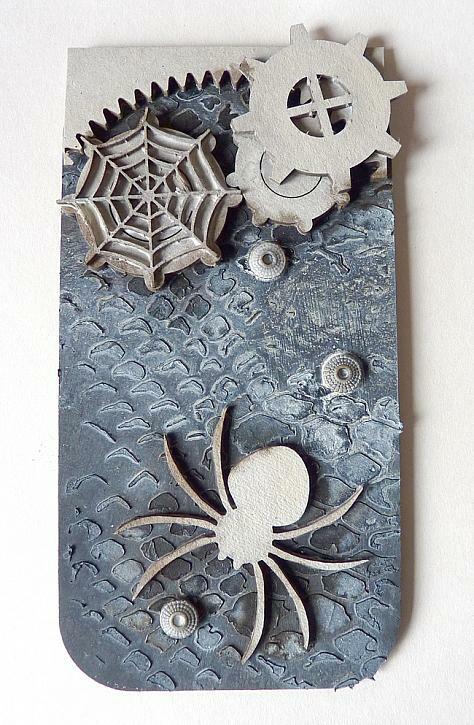 Using Titan Buff rub over the top cog and stamp over the oval and rectangle chipboards. up with versafine black pigment ink. Leave the stamp to cool in the embossing before removing it. Add some paint to the body and wings to subtly bring out the features. Take a piece of leftover greyboard and make a panel for the back. and techniques will work with whatever you have. Thanks for joining me today. Happy crafting. WOW this looks fantastic ! 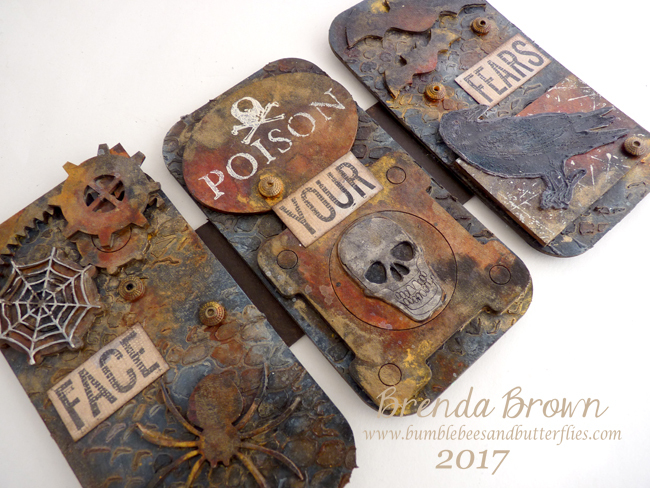 YOu never cease to amaze me with your uniqe projects Brenda! 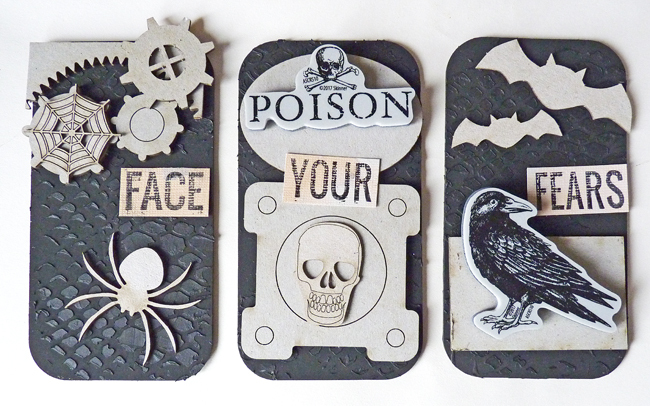 This triptych looks so frightfully fabulous! I love all the great, fun details you've added to each section. The colors are awesome. Wonderful Halloween inspiration here! This looks an amazing project, I will pop over to have a look at it all. These are gorgeous Brenda ! 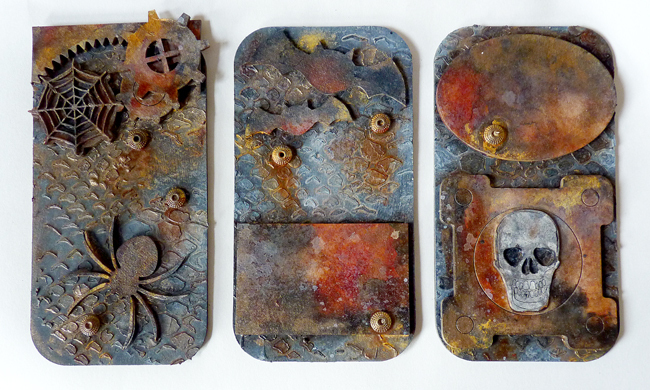 These are beautiful and so grungy. and your background is amazing! Wow! Pretty creepy cool Brenda! 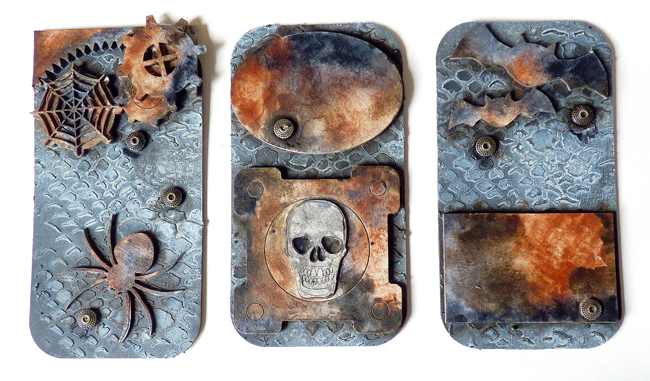 Love that your paint looks just like real rusty decaying metal! 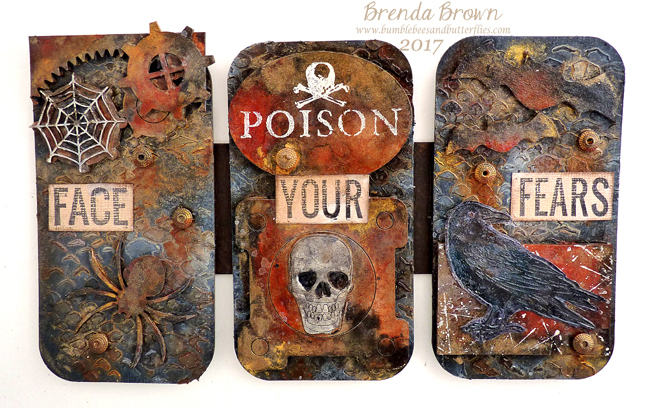 Love the wonderful rustiness of each of these Brenda - all so very spooky in their design!! Love this Brenda, so cool! 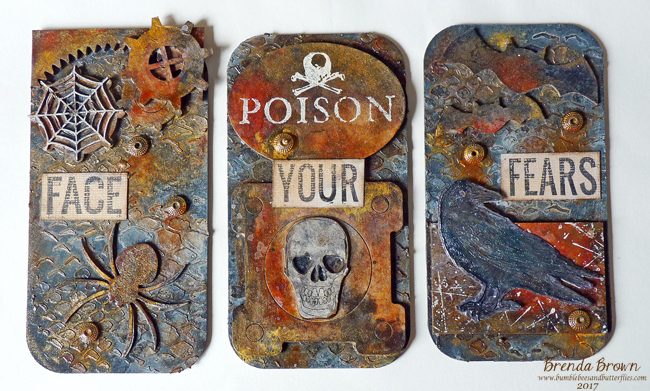 Fab... Love the rustiness... Perfectly festive! Beautiful metallic look to this, Brenda! I love your creepy, spooky design! I've been over to DA, and you have written a fabulous tutorial--thank you for sharing your technique! Hugs! Fabulous Halloween makes, love all the little details.